This is normal. HIV is a complicated disease that requires that you be informed, be aware of how your own body is reacting, and sustain a partnership with your medical provider and loved ones. Why is HIV so complicated? Why isn't it just like every other disease? HIV/AIDS can be similar to other chronic diseases, like diabetes and heart disease. The challenge is managing the disease so you can lead a normal life. The purpose of this website is to help you ask questions about your care. As with any chronic disease, HIV requires that you "own" your decisions about care and treatment. Without this personal investment and support it will be much harder to manage this complicated disease. 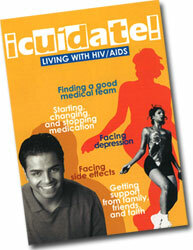 While there is no cure for HIV infection, it is a disease that can often be controlled. A good medical team for the treatment of HIV/AIDS includes an experienced doctor with expertise in treating HIV-positive patients who has many patients with this disease. Experience is important. The more HIV-positive patients your doctor treats, the more likely she or he will be familiar with the treatments available and needed laboratory tests. But even with these qualifications, a particular medical team might not be suitable for your care. If you are Spanish-language dominant and your doctor does not speak Spanish or access interpreter services, you may not be able to communicate your symptoms and ask questions. Without language resources, patients are less likely to adhere to treatment decisions, thereby defeating the whole purpose of medical care. Then there is the doctor's familiarity with your economic, home life, and cultural realities. It may be difficult to find the perfect medical team. The key questions are: Is your condition improving? Does your doctor listen to you? Do your questions get answered? Are you comfortable with your doctor and his or her nursing and other staff? Is your doctor affiliated with a good hospital? Is medical advice provided in Spanish if needed? These and other questions are common, but often overlooked. 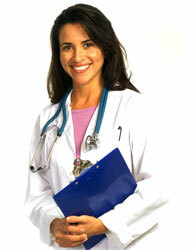 As with any chronic disease, maintaining a regular schedule of clinic or medical office visits is absolutely essential. Based on your current health, you and your medical providers should agree on regular visits and blood tests. The blood tests will help your health team determine whether you should start, maintain, change, or continue with a set of medications. Your doctor may check for sexually transmitted diseases and measure your cholesterol level, liver function, glucose levels, and other important variables. Your doctor may change your schedule and ask that you come in more often. This may be inconvenient, but nothing is more important to your health than maintaining a good doctor-patient relationship. Your doctor may send you for additional medical tests because he or she is checking for other conditions. Keep track of your lab results. You can begin to get a picture of your progress over time and learn more about the meaning of different blood measures. It is just as common with other chronic diseases for patients to track key blood measures. Starting: The United States Public Health Service in consultation with AIDS experts from around the country recommend that you begin taking medications to control HIV when your CD4 count is low and viral load is high. The actual recommended numbers are constantly changing and your doctor may choose to recommend that you begin taking antiretrovirals even if you do not match these guidelines. Many doctors perform a drug resistance test before commencing medications. This test will tell your doctor which drugs you may already be resistant to even though you may have never taken medicines for HIV. It is possible that the strain of HIV that you were infected with is resistant to some medications. Drug resistance is complicated and should be discussed with your doctor. Your medical provider will make a recommendation about what combination of medicines you should take that will have the best chance of success. Success depends on how ready you are to adhere to the schedule for taking the medications and how effective the medications are. Because you are the one who must take the medications with near perfect adherence, your doctor will collaborate with you to decide the appropriate time to begin therapy and the drugs to include in the first regimen. Impact of Depression: Just about everyone feels blue or depressed about their disease or the many medications they have to take every day. It is common and you are not alone in feeling like this. Many people have found it helpful to talk to others they can trust about these feelings in an organized setting such as a support group that is part of a local service provider or to other persons they know with HIV/AIDS. If the depression or anxiety begins to interfere with your daily activities or your ability to take your medications, you should seek professional help from a mental health specialist. Everyone has different favorite activities for coping with the mental stress associated with HIV and the medical regimens. Some people learn to meditate and relax as a way of calming themselves. Others find that work or volunteer activity helps them to feel more fulfilled. Still others find worship and prayer uSseful sources of personal strength. Ask yourself what makes you happy and try to do those things. The use of illegal drugs can increase your depression. All medications have side effects - some more than others. Learn to recognize side effects. Ask your doctor. "What are the side effects of the medicine I take?" If you know side effects that might occur beforehand, you will be better prepared. Share any side effects with your health care team. Only you can decide what side effects you can live with. Will the side effects go away with time? Are the side effects serious? What can you do to manage such side effects as diarrhea, nausea, diabetes, high cholesterol, etc? 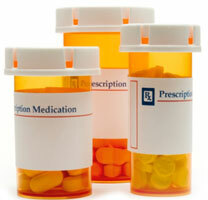 There may be things your doctor can do to lessen some of the side effects of your medications. In the Latino community, the extended family can be a source of strength and support. So if you are ready it is best to be open about your condition to those people who need to know in order for you to sustain your health. Domestic violence, rejection, and ignorance by others are all very real factors that may interfere with your being open. It is important to come to grips with these things before disclosing your HIV status. Many persons find hope and strength in their faith and in religious communities. In many areas of the country, faith communities have led the way in offering compassion and help to persons with HIV/AIDS. In your daily life you probably have many other things to worry about besides HIV, such as keeping food on the table, paying rent, seeing that children are educated, holding a job, and immigration status. These are the stresses that are increased by HIV. If you don't take care of yourself, you may not be around for all the other parts of life that are so important to you. Integrating your HIV care and care for yourself may require a shift in your priorities. Ultimately everyone wins if you can integrate everything - the needs of your loved ones, your work, and all the other things you care about. It allows us to fight the spread of HIV/AIDS, STDs, and substance abuse and demand access to the highest quality health services for all Latinos around the nation. Free and Confidential HIV Rapid Testing. Results are obtained in few minutes together with a counseling session.